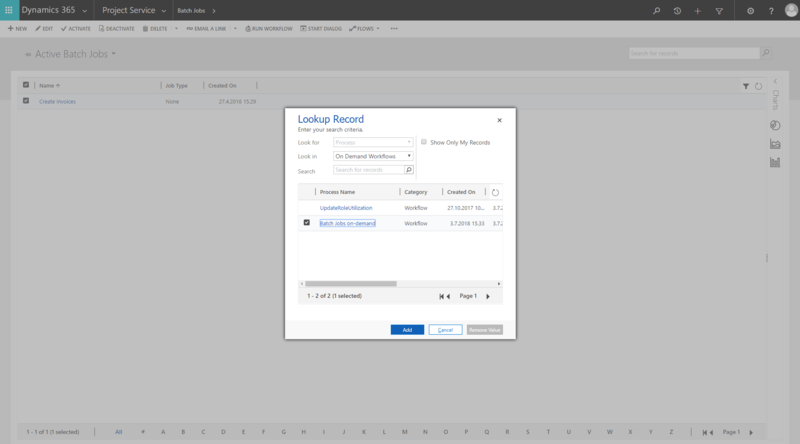 I recently ran into an interesting problem where several identical and near identical invoices were found in Dynamics 365 Project Service Automation. Not only were there duplicate invoices but deleting them led to a situation where Actuals that were already on a confirmed invoice found their way back to the system to be picked up on new invoices. All these issues eventually come down to Batch Jobs and the processes behind them but before we jump to the conclusion, let’s investigate each individual issue. 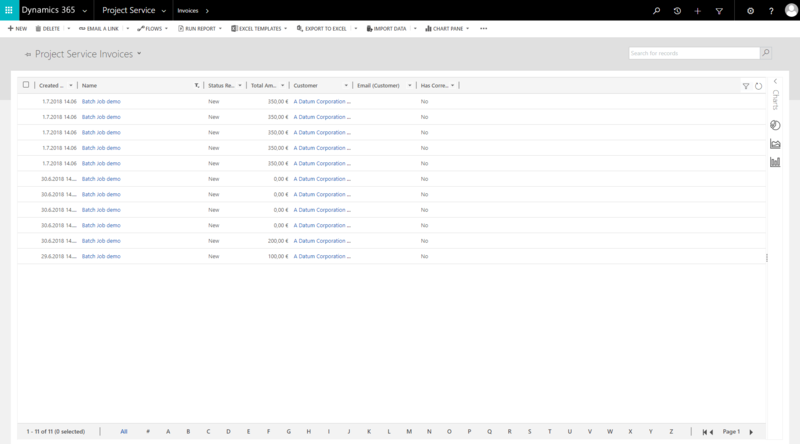 If there are duplicate PSA invoices in Dynamics 365 CE with identical Invoice Line Details on each invoice, it’s important to verify if some of these invoices have been confirmed or not. There are two scenarios that can happen when deleting a duplicate invoice. 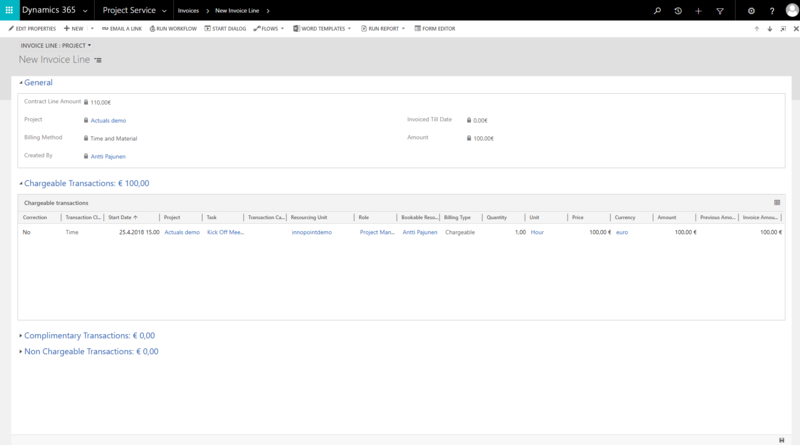 These are based on what the Project Invoice Status (msdyn_projectinvoicestatus) of the invoice is. Before we examine these scenarios it’s important to understand that when an invoice with a Project Invoice Status of Draft is removed, the related Actuals are released and are available to be picked up on new invoices. The Billing status ID on these Actuals is set to no value and the related Transaction Connections linking Invoice Line Details to Actuals are deleted. In this case there are no Confirmed duplicate invoices in Dynamics 365 CE. For the sake of example let’s say we have 2 duplicates. Deleting these duplicate draft invoices is safe and as there are no Confirmed invoices, there are no Actuals that have a Billing status ID other than no value. Deleting the invoices sets a Billing status ID of no value to no value and no harm is done. Let’s say we have 2 duplicate invoices in the system. One is Draft and the other is Confirmed. In this scenario we run into issues with Actuals. As the Billing status ID of the Actuals is Customer Invoice Posted (we have a confirmed invoice, remember), deleting the draft invoice sets the Billing status ID of the related Unbilled Sales Actuals back to no value. This naturally means that the specific Actuals are pulled on a new invoice when one is created. This scenario is illustrated in the photos below. A new invoice is created from the Project Contract’s context. 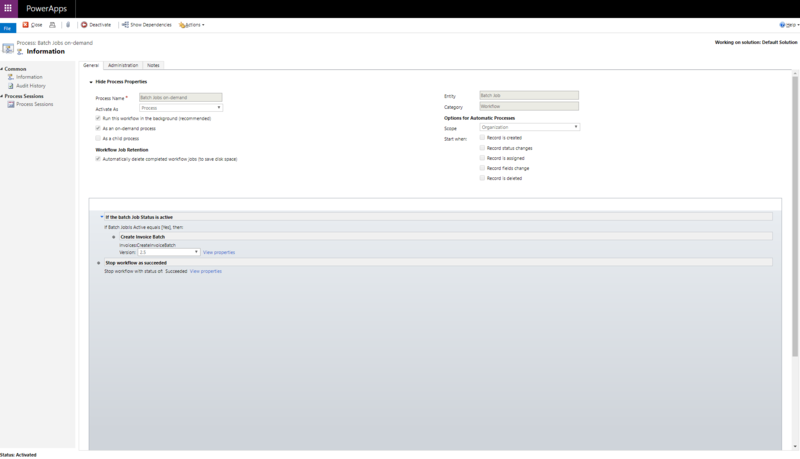 I let ProcessRunCaller and ProcessRunner do their job and came back to Dynamics 365 Project Service Automation two days later. As we can see from the photos below, ProcessRunner created 5 invoices against my Project Contract “Batch job demo” on the 30th and 5 invoices on the 1st. It’s interesting to see that on the 30th there is one invoice with a value of 200 (this is correct) while the rest are for a value of 0. Then again on the 1st all invoices have been created with a value of 350. This means we now have duplicate invoices with duplicate Invoice Line Details in the system. Why did we have 5 ProcessRunCallers in the system in the first place? The answer to this is user error in all its simplicity. It is possible to fire off ProcessRunner manually as many times as one desires. A user may easily choose to run ProcessRunner when invoicing is at hand and invoices are to be created for further processing. This is actually quite understandable as a company’s invoicing process most likely will not look at when Dynamics 365 CE creates invoices and instead there is a business need for creating invoices on-demand when it’s time to send them to the customer. While the OOTB processes should not be edited or deleted to guarantee compatibility in future PSA updates, the OOTB workflows don’t need to be used to run Batch Jobs. If there’s a need to run Batch Jobs on-demand, a valid approach is to build a new workflow to accomplish this. Below is an example of a workflow that can be used to run Batch Jobs on-demand.